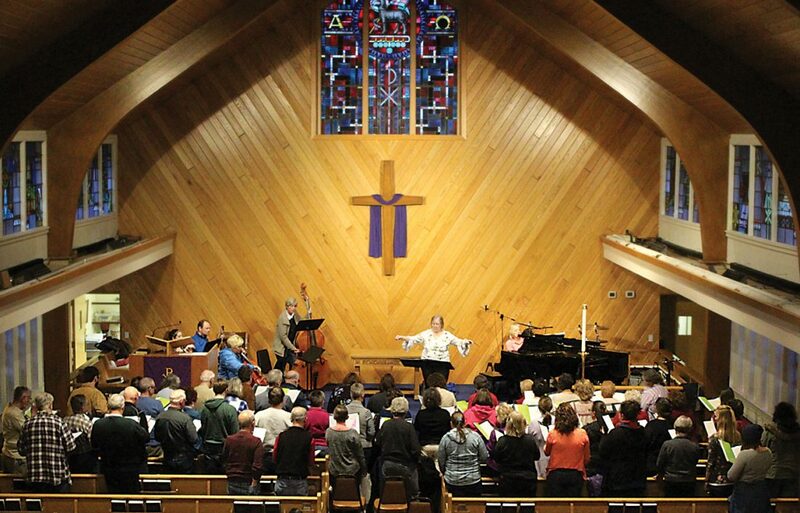 Gail Vornkahl, associate conductor, directs the Dickinson County Community Chorus in rehearsal for the annual Holy Tuesday Ecumenical Service set for Tuesday. 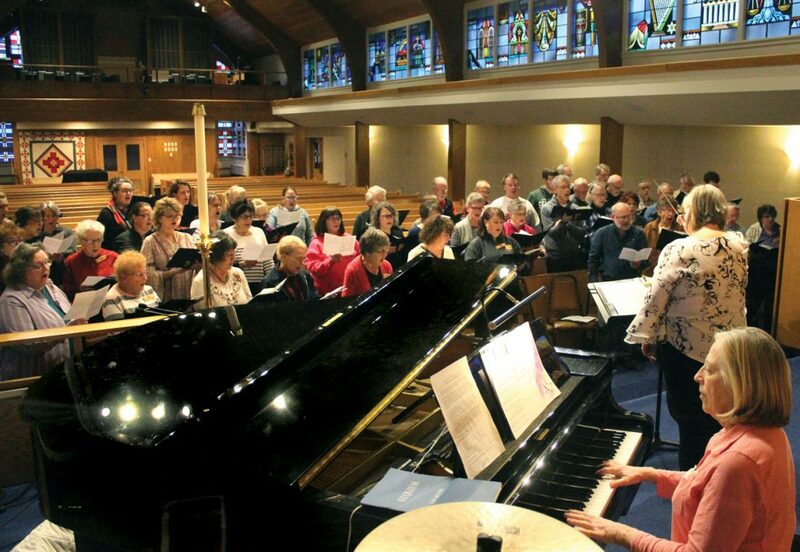 NORWAY — The annual Holy Tuesday Ecumenical Service, sponsored by the Dickinson County Community Chorus and the Iron Mountain Area Clergy Association, will be Tuesday at St. Mary’s Catholic Church in Norway. A meditative prelude by Jean Panek on piano will begin at 7 p.m., followed by the service at 7:30 p.m.
Scripture readings and prayers from the Clergy Association, songs from the chorus and congregational hymns will “share the account of the Passion of Christ, our assurance of salvation as promised through the Scriptures, and our faith in Christ to be our shepherd,” organizers said. The chorus will be directed by Gail Vornkahl, associate conductor. They will be accompanied by Panek on piano, Theresa Ozzello on flute, Cathy Spice on oboe, Tammie Carr on violin, Miriam Edwards on cello, Thomas Niebrzykowski on guitar, Karen McCorkle on bass and Elizabeth Witter on French horn. Kiwanis Club members will serve as ushers. There is no admission charge; free-will offerings will be taken toward Clergy Association work in the community. The church is at 401 Main St. in Norway. All are invited to a reception in the fellowship hall after the service.